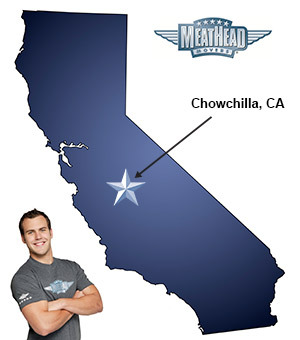 Meathead Movers is here to take care of the heavy lifting for you on your move to Chowchilla. Our clean-cut student athlete movers are ready to get you safely settled into your new Chowchilla home. If you are moving to or from anywhere in Chowchilla, we are the moving company for you! Our professionally trained student-athlete movers and our moving concierge service are here to help you with every stage of your move. Located in Madera County, Chowchilla is a small and welcoming town in Central California. With large parks within the city and close proximity to Yosemite National Park, there is plenty of outdoor space to explore. After your move, play a round of golf at the Pheasant Run Golf Club, and stop in for a drink at the clubhouse. For those looking to move to the area, Meathead Movers is the company for you. Our moving company specializes in local, long-distance, and commercial moves. We also provide reliable packing, storage, on-site relocations, and our distinctive moving concierge service, which connects you with local service providers to make your transition as seamless as possible. All our student-athlete movers are thoroughly screened and trained before their first move. With branches all throughout California, we are a one-stop resource for all your moving needs, no matter where your California move takes you. In fact, you can see what your neighbors have to say about us. With our 100% satisfaction guarantee and A+ rating with the Better Business Bureau, the only thing you have to lose is the stress that comes from moving! So contact us today for a free no-obligation moving quote and to learn how we can help you on your next move! Moving to Chowchilla? Here are some helpful resources. All of the packers and movers are very professional, courteous and friendly. They did a great job. We had damaged items and were told by operations that the replacement value is far less than what it will actually cost to repair and or replace. Items were left behind when there was still room on the truck, so now we have to rent a U-Haul Truck to bring the rest back to our new home. The men that were assigned to the job were very courteous however there was too much time wasted standing around waiting on team leader to direct them. We emptied the refrigerator as per their instructions, and placed them in an iced cooler, however we were told that they could not take the cooler so all of Our refrigerated items sat in the cooler for five hours in 90+ degree heat and by the time we got to our new home the items were warm and had to be thrown away. EVERYTHING! THANK YOU FROM THE BOTTOM OF OUR HEARTS FOR EVERYTHING! YOU LITERALLY SAVED US,?????????????? The staff was amazing. They were courteous and made sure to take extra care of the items that were being moved. I would recommend this company to anyone. We needed to do a quick move with 2 day notice and your company came to our rescue with speed and service. Movers were mindful ,curtious and and careful not to damage items. Everything! From my first contact to completion of my move, everything went smoothly. The movers were fast, courteous, and efficient. We would highly recommend Meathead Movers!